On x axis, gap between Monday & Tuesday is taken as convenient. Then, we plot points & join the lines. How to make line graph?Suppose we are given an Example 6 We follow the steps 1. Days are connected, first Monday, then Tuesday & so on So, we plot days on x – axis 2. 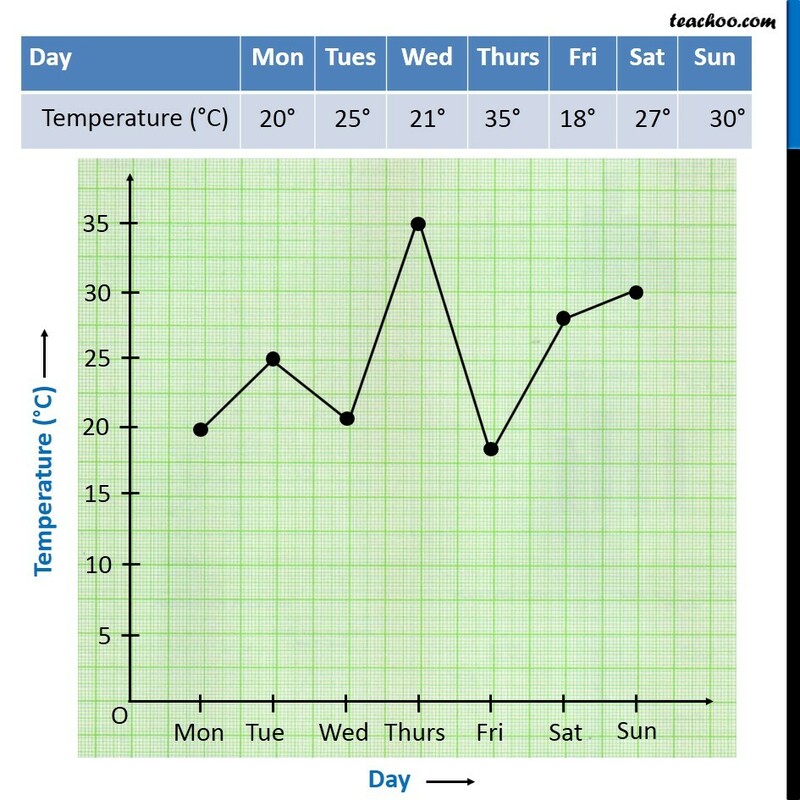 Temperature is plotted on y-axis 3. Since temperature is from 18° to 35°. We draw graph from 0 to 35 with gaps of 5 4. On x axis, gap between Monday & Tuesday is taken as convenient. 5. Then, we plot points & join the lines. 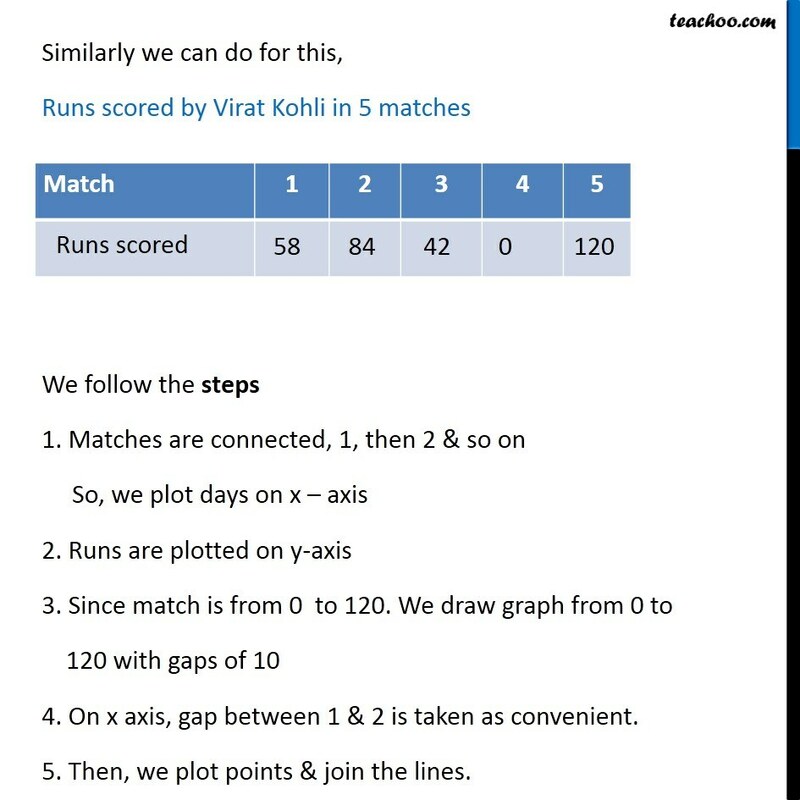 Similarly we can do for this, Runs scored by Virat Kohli in 5 matches We follow the steps 1. Matches are connected, 1, then 2 & so on So, we plot days on x – axis 2. Runs are plotted on y-axis 3. 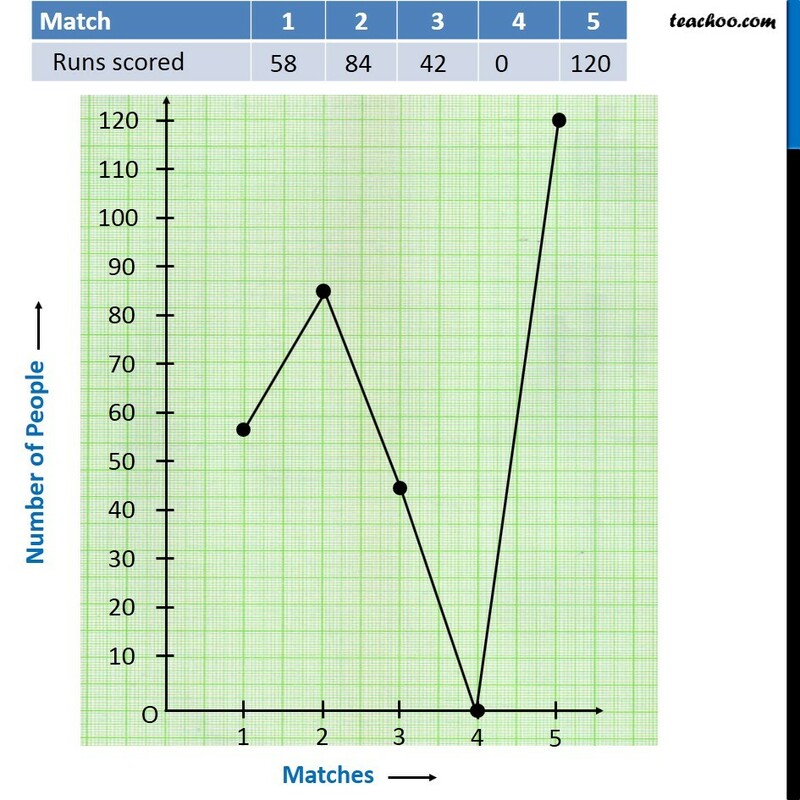 Since match is from 0 to 120. We draw graph from 0 to 120 with gaps of 10 4. On x axis, gap between 1 & 2 is taken as convenient. 5. Then, we plot points & join the lines.